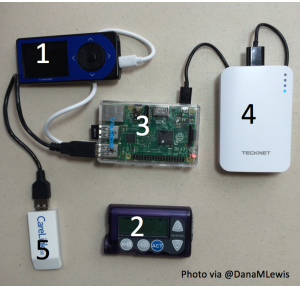 The artificial pancreas is here for those willing to build their own; what can manufacturers learn from OpenAPS? A version of automated insulin delivery is emerging, and it’s steadily gaining interest. 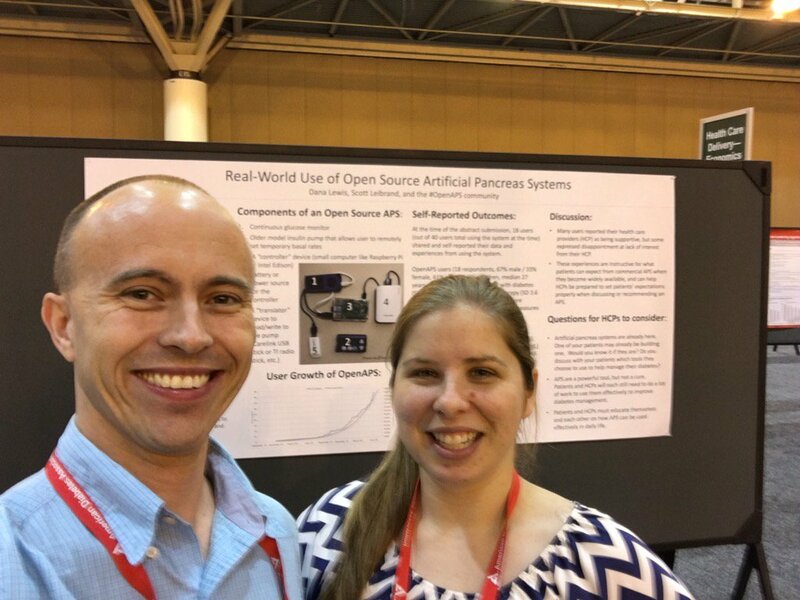 OpenAPS, the do-it-yourself (DIY) automated insulin delivery system created by Ben West, Dana Lewis, and Scott Leibrand, now has over 87 users worldwide and more than 190,000 hours of use. The system is open source, meaning that anybody who wants to try connecting their pump and CGM to make a DIY artificial pancreas can do so by accessing open source OpenAPS instructions. Most use an old Medtronic pump, a Dexcom CGM, and a small computer running the control algorithm. A late-breaker poster at the ADA Scientific Sessions shared self-reported data from a small group – 18 of the first 40 users – outlining the positive glucose and quality of life impact this system has had: a 0.9% improvement in A1c (from 7.1% to 6.2%), a strong time-in-range improvement from 58% to 81%, and near-unanimous improvements in sleep quality. See below for more from the OpenAPS poster and where this research is going. 17 out of 18 respondents reported some improvement in sleep quality, and 56% reported a large improvement in sleep quality. The poster also summarizes what many users report feeling: the improvements on OpenAPS are “life-changing,” even if the DIY system still requires significant effort to build and maintain and cannot be considered a “technological cure.” This latter point is critical, as many patients still think of the artificial pancreas as a fully automated, “I don’t have to do anything” system. First-gen versions, even the MiniMed 670G, will still require patient effort, but they will be much better than current therapies. 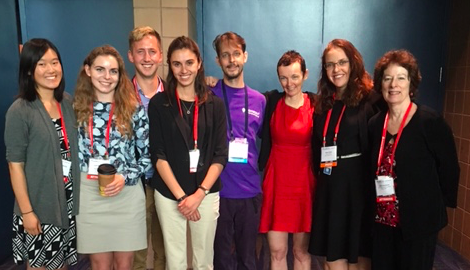 At ADA 2016, OpenAPS developer Ben West told diaTribe that the overnight use of the DIY-artificial pancreas is the biggest game-changer for him, and that waking up in-range every morning is “addicting.” This is consistent with what OpenAPS user Chris Hannemann shared last fall: a time-in-range of 83%, an average daily glucose of 129 mg/dl, and a daily morning fasting glucose of approximately 100 mg/dl. 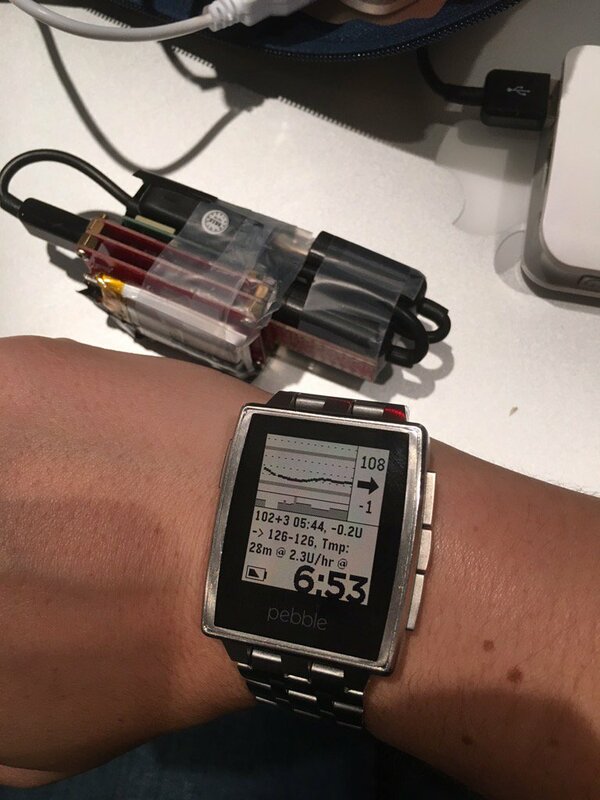 A potential application of OpenAPS tools in a clinical trial to help healthcare providers help patients adjust more quickly and easily to pump therapy. While OpenAPS is certainly not for everyone – whether that’s due to its complicated set-up, its extra gear and devices, or its perceived risk-benefit tradeoff – it shows the new healthcare world that we live in, where medical device companies are no longer the gatekeeper for new innovations. With over 190,000 hours of data from patients on the OpenAPS closed loop, there are bound to be countless insights that could inform future innovations in diabetes devices and therapies. What lessons from the OpenAPS community could be integrated in the development of commercial automated insulin delivery systems? Can OpenAPS push the FDA and industry to move smarter and faster, getting approved, fully integrated automated insulin delivery systems on the market sooner? We hope so! It’s important to note that the FDA knows that DIY initiatives like OpenAPS are underway, and that they have empathy for what drives people to create their own automated insulin delivery systems. According to the FDA’s Dr. Courtney Lias, systems like OpenAPS do fall under the FDA’s jurisdiction, though the Agency enforces its authority based on risk – a single individual using OpenAPS presents a low risk, while thousands using the system presents a higher risk. The FDA may not choose to spend resources on someone building a system for their own personal use. However, the Agency does want to talk to the DIY community about its biggest concern, responsibility – who will catalog and report any adverse events, and who is responsible if something goes wrong with an OpenAPS system? There is some debate on this topic among legal and regulatory experts. Those desiring to speak to the FDA should email Drs. Courtney Lias and Stayce Beck at Courtney.Lias@fda.hhs.gov and stayce.beck@fda.hhs.gov.